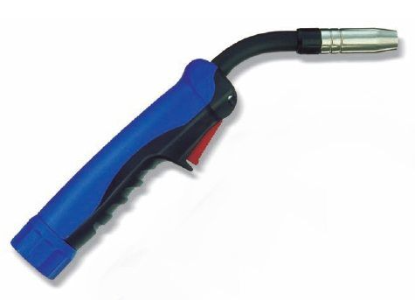 The FF-M MIG/MAG torch series is designed to provide quality and comfort during use. Used throughout the welding industry, including automotive, aircraft and steel construction/fabrication environments. Interchangeable with the best known european brands. Standard Euro spring pin attachment.